SketchPad is the model for Jewish community engagement and collaboration in Chicago: an intellectual, cultural, spiritual, and socially conscious hub. It maximizes the individual and collective impact of members, the sharing of ideas and resources, and the development of an inspired network of Jewish professionals and organizations. Intentional, Jewish, innovative collaboration is the future of Jewish social justice, and Avodah is part of this group of important voices. We know that strengthening the Jewish community's response to poverty means that we must work together to build bridges and support one another's work for a common cause. We are proud to be coming together with like-minded organizations to create something truly unique in Chicago. Sketchpad will undoubtedly shape our collective Jewish future and we're really excited to be a piece in this supportive puzzle. What is truly amazing is the collaboration between organizations and movements that no one ever dreamed was possible. 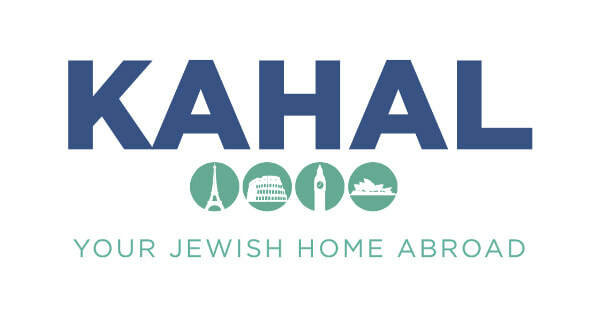 Organizations working with holocaust survivors are partnering with Moishe House and other young-adult organizations to share their history; Secular and Orthodox movements are coming together to share best practices in community engagement and communicate on a broader European legislative agenda. There are countless examples of these collaborations arising from simply sharing a lunch together, attending a program, or even just bumping into one another at the copier. SketchPad presents a unique opportunity for us to build stronger and more holistic joint programming, serving to make the Jewish community, broader, more cohesive, and more effective in our combined efforts to create change. Innovation happens at all levels of Jewish life and work, but thrives when there is a community of practice to support it. SketchPad will be a place that inspires innovation, and provides a network of passionate people and organizations that further our collective mission of supporting Jewish life. By creating a Jewish innovation hub, Orot and its partner organizations will be able to share resources, program, planning, and co-working space, and support one another’s work in various exciting ways. Such a hub would allow the Jewish community to more readily access the myriad of exciting new developments in the Jewish community, and as an outgrowth of the collaborative atmosphere, Orot’s work will be enhanced and enriched. They say it takes a community to raise a child, and the same can be said of ideas and growth stage institutions. The ability to refine, hone, and execute an idea around other growth minded individuals- and pooling resources to get it done- is infinitely better than doing it on your own. What Makes A Co-Working Space Jewish? -The Forward: October 3, 2018. "When we collaborate, when we bring a group of passionate, creative, dedicated Jewish professionals together, we can change the world." ​Get in touch! We'd love to hear from you. Irene Lehrer Sandalow has worked in the Jewish nonprofit sector for over 15 years. She has expertise in coalition building, project management, strategic planning, curriculum development, community education, outreach, and organizing. Most recently, Irene was the Chicago Senior Project Manager of URJ’s B’nai Mitzvah Revolution which facilitates a change process among congregations to generate new ideas and modalities of meaningful celebrations of b’nai mitzvah. Prior to that, Irene founded the Parent to Parent Initiative at The Jewish Education Project promoting parent leadership in Jewish day schools in New York. From 2006-2012, Irene worked at the Jewish Council on Urban Affairs (JCUA) where she educated, mobilized, and organized members of the Jewish community in local and national social justice campaigns. Irene now serves on the board of directors for JCUA. Irene's writings have appeared in eJewish Philanthropy, ZEEK: A Jewish Journal of Thought and Culture, Journal for Jewish Communal Service, and Sh’ma: a Journal for Jewish Ideas. She and her husband, Dr. Nathan Sandalow, are the proud parents of Eli, Abe, and Chananya (Henry) current (and future) students at the Chicago Jewish Day School. ​Questions about membership or space rental? Naomi is SketchPad's Operations Coordinator and has worked in nonprofit administration for over five years. Born and raised in Highland Park, IL, Naomi graduated from Boston University's American Studies program in 2015. She then moved to New Zealand where she worked as the Marketing Manager at Auckland's Basement Theatre. In 2017 she returned to Chicago to perform and produce live comedy while continuing to work with nonprofits with a focus on marketing and community engagement. Naomi has been with SketchPad since January of 2019. ​"If you want to go fast, go alone. If you want to go far, go together."